The battery life and flight times of drones is certainly one of the main frustrations with drone technology. If your drone can’t keep itself in the air, it doesn’t matter how fast the blistering is or how amazing the camera is. For this reason, when evaluating your next drone, total flight time has to be one of the most important factors. If your only have a few minutes to record a video what good is a camera that can record 4k video. If your battery dies in just a few minutes what good is a 2000 meters radio range. The list conveys some of the best drones with the longest flight times in an ascending format. We also took the price into consideration so you can find drones ranging from $40 to $3000. We will start with couple of cheaper drone models, that have relatively good flight time compared to their price and battery capacity. Moving further down the list, we will list market leaders and record breakers in terms of flight longevity. The Holy Stone HS170 is a very fast micro drone and it has a great flight time versus charger time. The drone is powered by 3.7V 350mAh Lithium Ion battery and has a flight time of about 8 minutes. The HS170 contains a below average battery capacity compared to the average of 650 mAh and it can fly for an average amount of time. takes about 50-70 minutes to charge fully. Other drones in similar price ranges need longer times and get about the same flight duration. The drone is equipped with 6-Axis Gyro stabilization system. This feature allows you to perform flips and rolls by simple push of the button. The LED lights make the drone a great night flyer. The drone is small, flexible and stable and it’s a perfect starter drone to get a feel for how to fly. However, you’ll want a different model if you are looking to mount payloads or to record. As far as color goes, this drone is only available in black. The MJX X101C is on the larger end with a wingspan of 711mm. The drone weighs 420 grams and it is above average in weight. Being powered by a nice 7.4V 1200mAh Li-Po battery the advertised flight time is around 10 minutes, which is pretty nice. The X101C uses an above-average sized battery to power its flight, compared to the average of 650 mAh and it can fly for a slightly above average amount of time compared to the average of 8 minutes. The recharging time is about 120 minutes. The MJX X101C is a fine middle ground and offers good value for the money. The drone comes with its own camera, and even an SD card for you to play around with. As far as color goes, the MJX X101C is only available in white. The Parrot AR Drone 2.0 features nice payload capacity and it is one of the better drones with long flight times. The drone is powered by a nice 11V 1000mAh Li-Po 3S battery and the advertised flight time is about 12 minutes. The battery takes about 60 minutes to charge completely. The AR Drone 2.0 uses an above-average sized battery to power its flight and it can fly for a slightly above average amount of time compared to the average of 8 minutes. However, you should invest in batteries with higher charge if you want longer flight times. With this battery you will have a flight time of about 20 minutes. The drone is equipped with a camera and the 720p resolution on the drone means that it can record in HD. The Parrot AR is above average in size and weight and it is available in red, blue, yellow, green and orange. 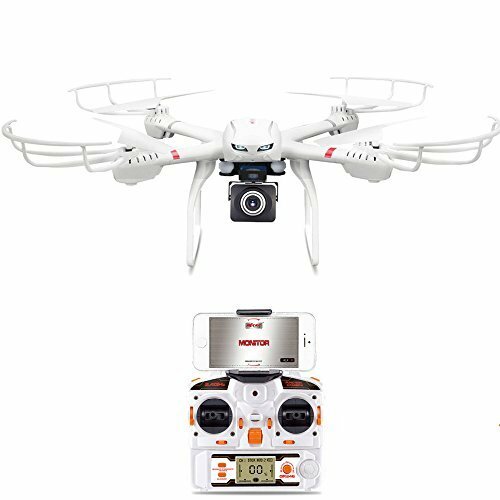 Traxxas is USA based company that has a many years of experience in manufacturing RC products and they have produced a great quality drone – 7908 Aton. 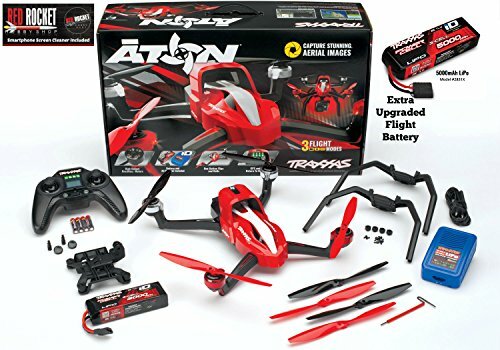 The Traxxas 7908 Aton is really a drone that flyers can grow with from a novice and it can support their desire for more challenges as they advance. The drone comes with super bright LED lights for better orientation visibility, not to mention its looks really cool at night. that can easily attach to the drone’s main body. Nice battery combined with stability, amazing flying experience, ability to support camera payloads and fight off windy conditions is winning combination. As far as color goes, the Traxxas 7908 Aton is only available in red. DutchRC - Traxxas Aton video Quadcopter - Unboxing! The Phantom 3 Professional is considered to be the most advanced consumer drone currently available on the market. It is powered by a powerful 100V 4480mAh Li-Po 4S battery and has an impressive flight time of about 25 minutes. 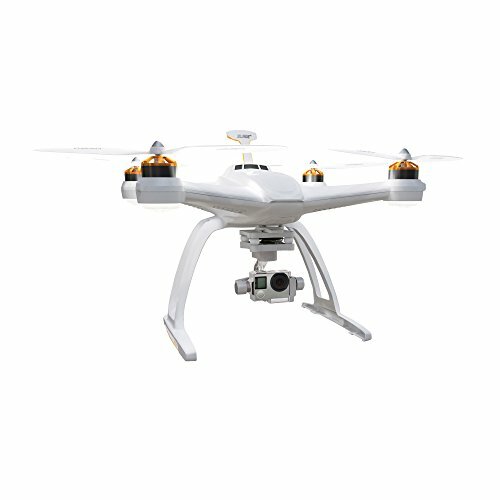 The DJI Phantom 3 Professional is RTF drone and you get additional battery for added flight time. The new 100W charger charges the battery for an hour per battery. You can operate your drone up to 2,000 meters away from you and it can fly up to 6,000 meters above sea level. 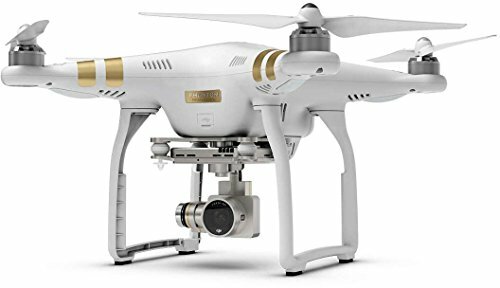 This drone is able is able to shoot very high quality photos and the Phantom 3 Professional’s 4K resolution is perfect for recording professional-level video. 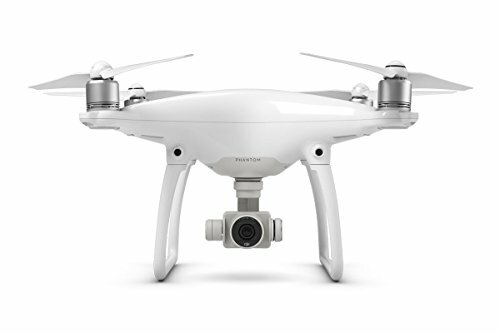 As far as color goes, the DJI Phantom 3 Professional is only available in white. The Phantom 3 Standard is very easy to use and even beginners will be able to get flying and photographing quickly. The drone is equipped with a single battery; a big, heavy and powerful 15.2V 4480-mAh Li-Po battery, which provides around 25 minutes of flight time. The battery is recharged using the included charger. It is important to note that the battery takes quite a long time to recharge: around 50 minutes. You can also buy spare battery for this drone, but the problem is that this battery is pretty expensive. The built-in camera on the Phantom 3 Standard is able to record very high quality photos and videos. It also has an impressive range and it is one of the heavier drones on the market. As far as color goes, the Phantom 3 Standard is only available in white. The 3D Robotics Solo is the world’s first smart drone and includes many world-first technologies. The Solo is pretty fast compared to most drones and has a top speed of 55mph. The drone comes with a powerful 15V 5200mAh Li-Po battery and it boasts about 25-minute sky life. This means that this drone can fly for 17 minutes longer than the average drone. The Solo is not equipped with a camera. However, it is compatible with GoPro and other action cameras that can easily attach to the drone’s main body via a compatible stabilization gimbal. Its stabilization gimbal supports 3 axes of rotation. This means that, when the drone rotates along its three axes, the camera will remain steady and focused. The Solo is one of the heavier drones on the market and also above average in size. As far as color goes, the 3D Robotics Solo is only available in black. There's a new drone in town. It automatically controls your GoPro and has an amazing autopilot. The quad is good for taking pictures and videos, gimbal is steady. You can swap your own cameras if not satisfied with the CGO3. It can carry some weight. It’s big and it looks sharp and will turn some heads. The Yuneec Q500+ Typhoon is able to fly for about 25 minutes and this drone is perfect for those people who want to capture an intense collection of aerial stills. You can also buy a spare battery and get almost an hour of fun. The drone is powered by a powerful 11V 5400mAh Li-Po 3S battery that takes about 120 minutes to charge completely. The Q500+ Typhoon has great number of features and admirable specifications and it feels like something a professional would use. 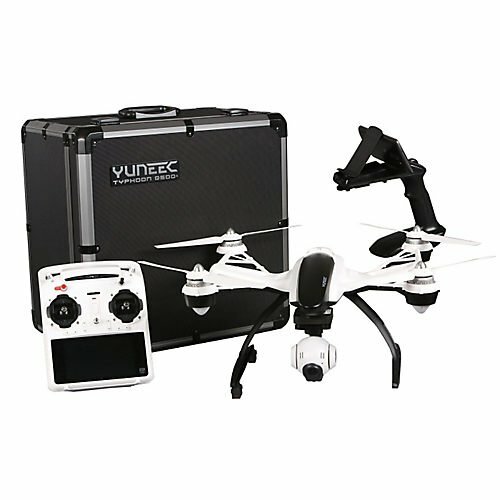 The design and build makes this quad perfect for video recording and aerial photography. 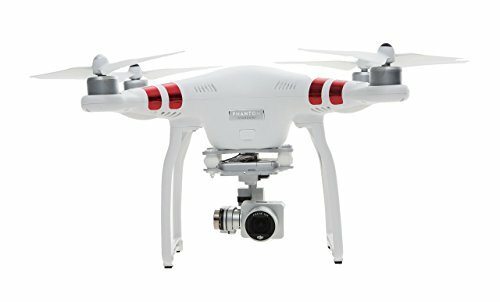 As far as color goes, the Yuneec Q500+ Typhoon is only available in white. With elegant lines and sweeping curves the Phantom 4 is a beauty of a drone. Thanks to the integrated gimbal and camera you’ll get state-of-the-art aerodynamics and stability. However, the most important thing for us is that this drone has an amazing flight time of about 28 minutes. The DJI Phantom 4 Battery is a 5350mAh, 15.2V Li-Po 4S battery and it is specifically built for the Phantom 4. With 12MP of resolution, this drone is able to shoot very high quality photos. Also, the Phantom 4’s 4K resolution is ideal for recording professional-level video. There is a double tap feature on the controller screen that lets you fly immediately and flying has been made easy for everyone. The Phantom 4 has many amazing features, such as Obstacle Sensing System, Smart Return Home function and ActiveTrack. This drone offers just the perfect level of comfort and you’ll love to fly it. The Blade Chroma is perfect for both beginners as well as professionals. 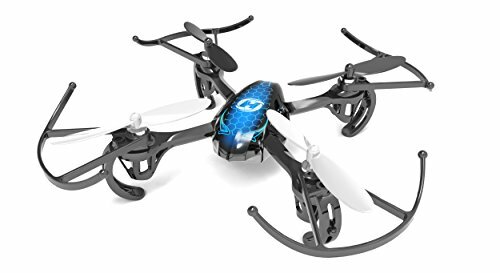 Thanks to all the features provided this drone offers great value for money. The Blade Chroma is sleek in appearance and it has many technological features that are exclusive to this drone. The Chroma is designed to fly for 30 grand minutes and it can facilitate 4K aerial photography. This flight time is amazing because since most drones of this size can only fly about 20 minutes on average. The drone packs a powerful 11.1V 3S 5400mAh Li-Po battery that is 4,750 mAh larger than the average battery. A full recharge requires about 120 minutes. The Blade Chroma is equipped with one of the highest-resolution cameras available and it is also capable of shooting in 1080p. As far as color goes, this drone is only available in white. 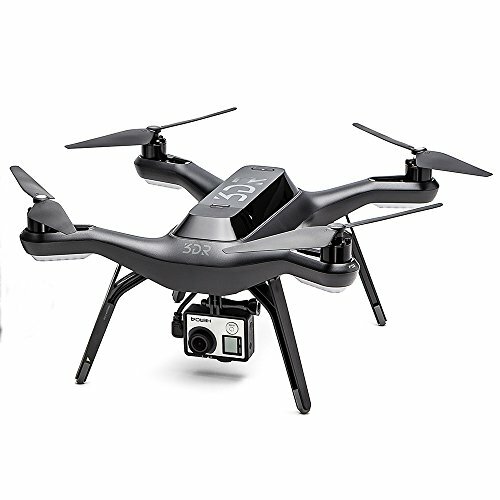 There are a lot of features to be seen when buying a drone. However, the primary aspect to be noticed and verified consists of the flight time of the drone. There are hundreds of designs out there and we hope that we were able to help you to find the best tech with the lengthiest of flight times. Long flight time is crucial for some aerial applications like inspection,surveillance etc.However current drone flying time is very limited,average 15-30 minutes,due to battery limitation.So I think the best solution for the time being is to use lightweight and tough enough uav frame,light enough components(motor,esc etc),appropriate battery.Also the VTLO fixed wing is a good option.